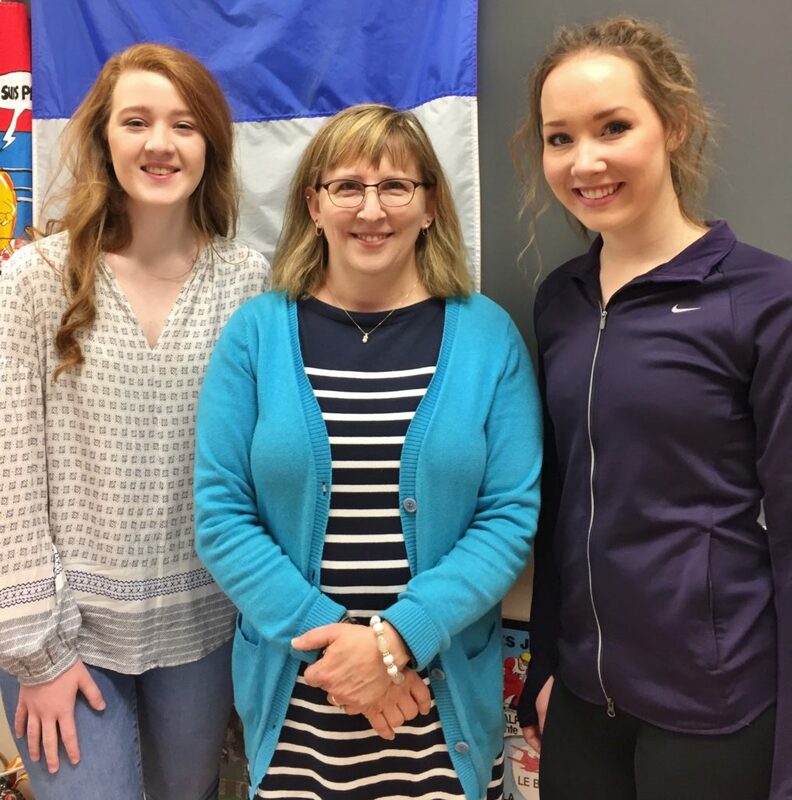 Two Penn Manor High School students, Callie Clonch and Kiera Kirchner, have earned scholarships that will enable them to study in France and Belgium next school year. The Speedwell Foundation Study Abroad Scholarships, totaling about $16,000 each, are offered each year to 20 Central Pennsylvania high school students. Callie, a sophomore, and Kiera, a junior, have yet to find out where they will be studying in France or Belgium. They will attend high school in their host community and likely study science, math, English, history, physical education and a world language – all taught in French. The students will depart near the beginning of the 2017-18 school year and return in July 2018. Congratulations, Callie and Kiera, and best wishes! Callie Clonch, left, and Kiera Kirchner, right, with teacher Maureen Klingaman.